How to find and where to find batteries in Outlast 2. This guide will show you where to find batteries in Outlast 2. Knowing how and where to find batteries in Outlast 2 is key to your survival, as without batteries, you won’t be able to see in the dark, which will quickly lead to your demise. Batteries are essential, as they power your camera’s night vision mode and its sound tracking, allowing you to see enemies and hear where they’re coming from. In order to find batteries in Outlast 2 you will need to explore a great deal. This is a double-edged sword, as in order to find batteries, you must be willing to use your camera’s night vision mode. However, there are key locations where batteries are more likely to spawn. 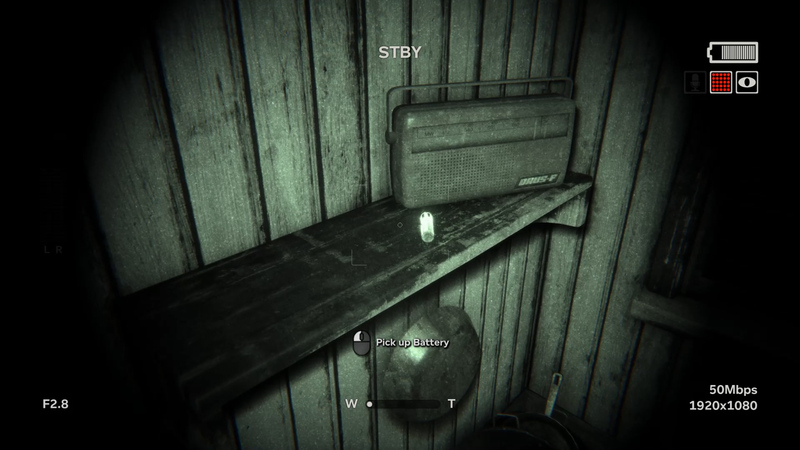 You're going to want to find every battery possible in Outlast 2. Batteries in Outlast 2 will be highlighted by a slightly glowing aura, which will hopefully make them easier for you to find. Batteries can be located on the ground, tables, inside houses, barns, and beneath dilapidated buildings. Batteries are life when you're playing Outlast 2. Knowing how to make batteries last longer in Outlast 2 will help your chances of survival. The longer you can make your batteries last, the more time you will have to find more, and the easier it will be to hide when enemies are nearby. 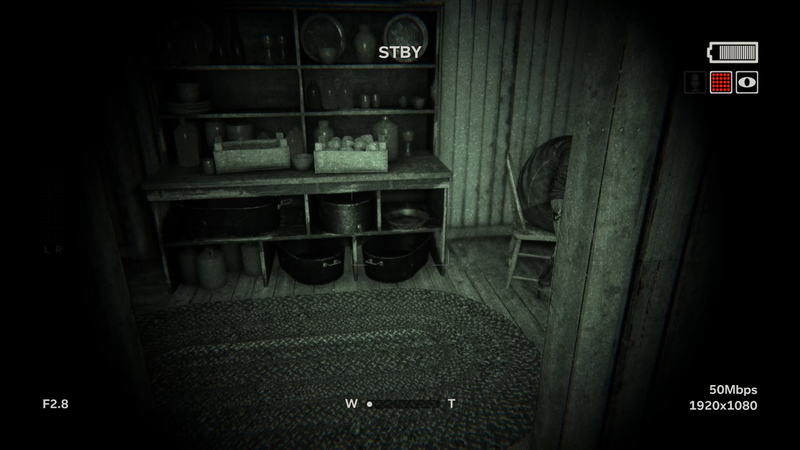 To make your batteries last longer in Outlast 2, only use night vision mode when it is absolutely necessary, such as when looking for items in extremely dark locations. Try to limit your use of sound tracking to when you desperately need to know where someone is located. Also, remembering to turn off the night vision and sound tracking is important, as having these turned on will quickly drain your battery. 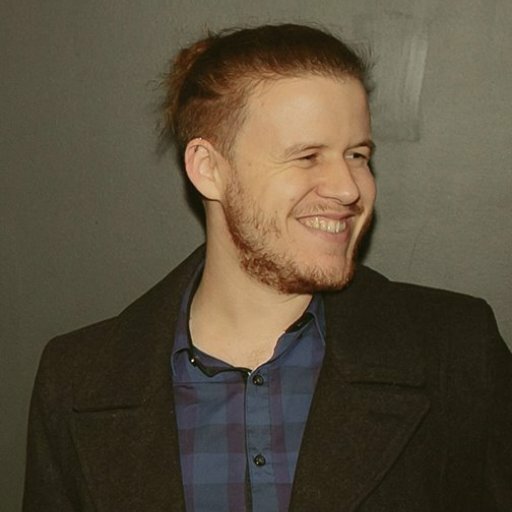 Despite the fact Outlast 2 is a dark game that requires you to know where to find batteries and use said batteries, there are numerous sources of light throughout the game. Use these sources of light to your advantage and use them as reference points when moving between locations to help limit your battery consumption. While you shouldn’t be concerned about using batteries to power your camera’s night vision or sound tracking, it’s important to not be frivolous with your usage. Use night vision mode to check new areas for traps, and try to take advantage of light within the environment around you. If you read this guide, you should now know where to find batteries in Outlast 2.